With new life blooming all around, it is thrilling to see so many fresh listings coming onto the San Diego real estate market. While there are plenty of options to consider this spring, we would like to share another special listing with you this month. 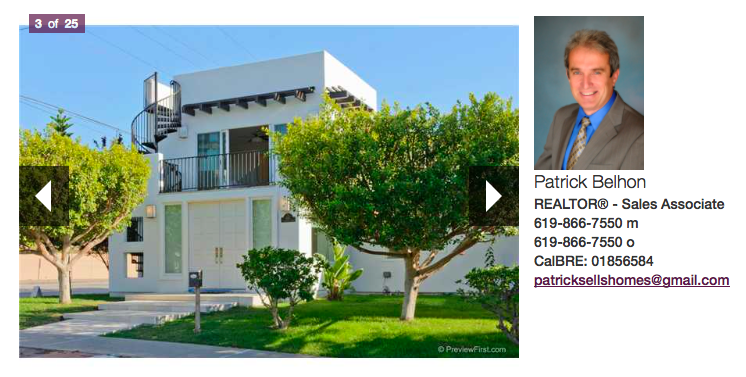 Located in La Jolla, 657 Westbourne Street is a new listing with a lot to offer. 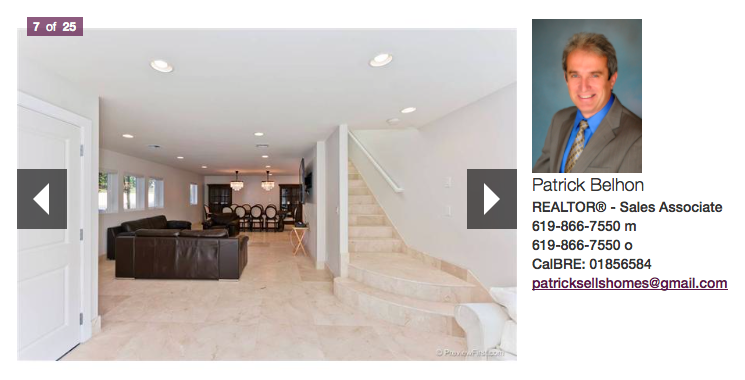 This spacious home has 3500 square feet, which is split up in a two story layout. 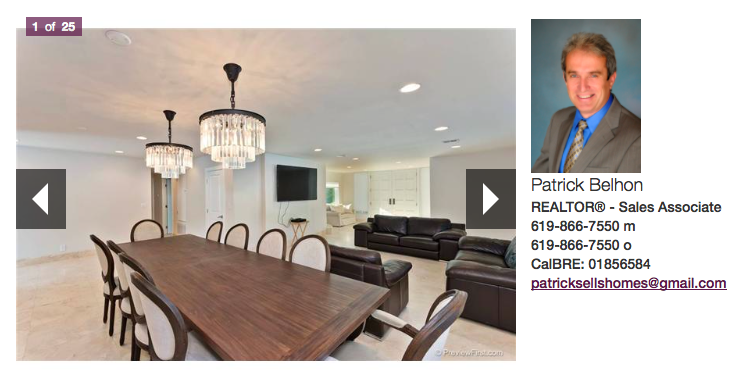 Between the six bedrooms and five bathrooms, there is little left to be wanted in this home. Although the home was built in 1990, it has recently been renovated. Therefore, this classic La Jolla property has all the modern finishes that make buyers swoon. On the outside, buyers will be impressed by the wide front door, which is flanked by tall windows to add extra ambiance to the clear contemporary style. The modern design is carefully worked through the structure, and the home has several geometric accents. The exterior is done in bright white, which is aptly contrasted with a dark deck on the second level. All of this is punctuated by a distinctive spiral staircase that gives residents roof access. For the right punch of color, the yard is well maintained with neat, green grass and full trees. If buyers like the outside, we know they will be absolutely floored by what they find inside. The wide front door opens into the living room, which is connected to the dining area in a contemporary open layout. This main living space has been updated with fresh carpet and pristine white walls. The windows are plentiful, giving the home a light and airy feel. In the dining area, there is ample space to entertain since there is easily room to seat 10 people or more. The light fixtures are elegant but understated, providing just the right hint of style in a room full of clean lines and minimalist flair. The main living space is impressive, but the kitchen is truly spectacular. The recent remodeling efforts are perhaps best showcased here since the space has been transformed into a full gourmet kitchen. The white cabinets have an antiqued look, which complements the stainless steel appliances perfectly. With the white backdrop of the cabinets and backsplash, the rich finish of the Italian Carrera marble countertop is hard to miss. The space also has a distinctive stove hood and a breakfast bar, making this the best place to cook and hang out. Going upstairs, the rest of the house is well designed for family living. Many of the bedrooms are perfect for children, and with so many to choose from, there is also space for an office, craft room or workout space as desired. The master bedroom is well defined by dark wood floors and access to the second floor deck. The attached bathroom has double sinks and a luxurious spa. The walk-in closet is large with a convenient organizational system already in place. From the second floor deck, the spiral staircase provides access to the roof, which is spacious and has spectacular ocean views. At an asking price of $3,195,876, this spacious home is a good buy. Any family would be right at home, and those who love to entertain will be especially pleased by the finishes. Plus, with its prime location, we know this home will be a smart investment for years to come. 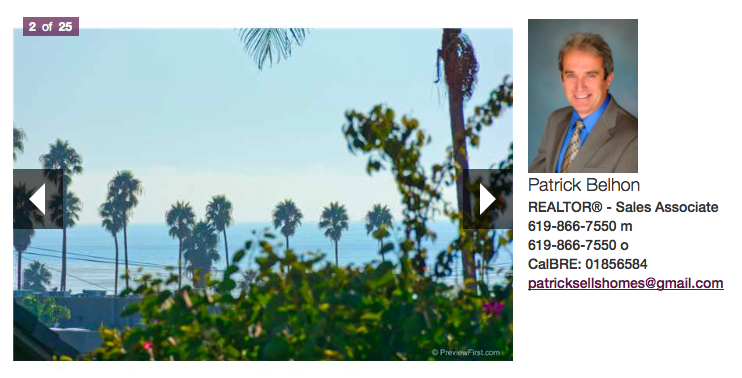 Please, call us today, and let us show you this beautiful La Jolla property.